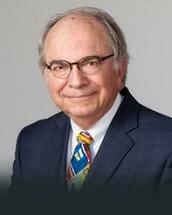 Jim Jorgensen practices in the areas of labor,employment, banking and business law. Hisrepresentation of business clients ranges from small, closely-held business to American subsidiaries of foreign corporations. Mr.Jorgensen is a frequent lecturer to various business groups, publishes extensively in business journals, and was an adjunct professor at the Valparaiso University School of Law for over 20 years.